The Heinzerling Community is a non-profit organization dedicated to the care and development of individuals with disabilities. 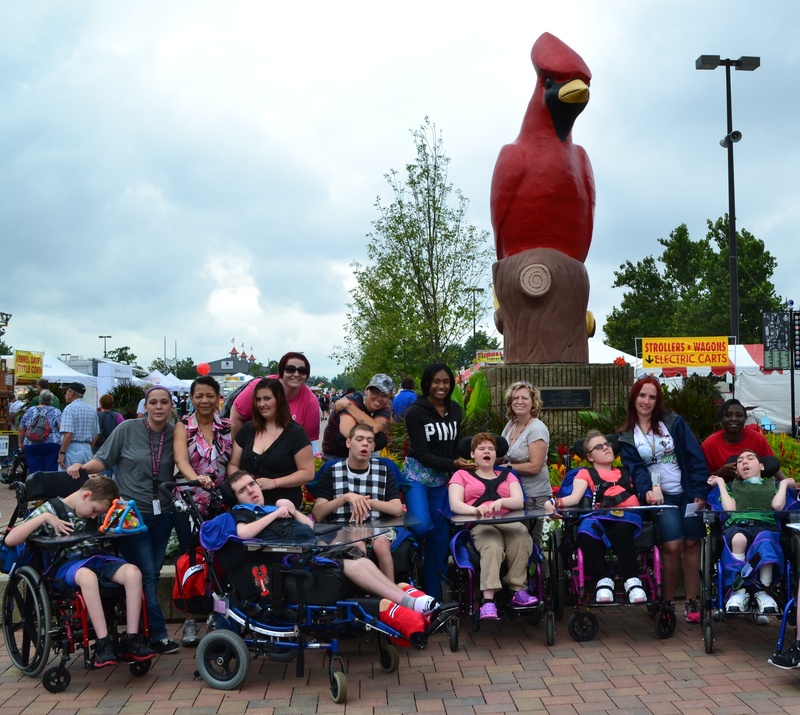 The mission of the Heinzerling Community is to provide a loving and nurturing environment that enriches the development, education and quality of life of individuals with severe or profound developmental disabilities. The Heinzerling Community is located on the Southwest side of Columbus, Ohio and provides 24 hour residential care for 208 children and adults with severe developmental disabilities. A staff of over 540 professionals works around the clock to nurture our residents and give them a fulfilled life. This is accomplished through a personalized approach involving many therapies including physical/occupational therapy, communication skills, life skills, sensory development, and mobility opportunities for residents. Much of this occurs at Heinzerling and off-site during community field trips. Proceeds will go directly to support the residents of the Heinzerling Community. This includes 250 annual field trips to attend summer camps, zoo outings, movies, dances, concerts, museum trips, weekly swim trips, therapeutic horseback riding, and seasonal parties. In addition, funds will provide Heinzerling residents with therapy equipment, communication devices, adaptive toys, and personal care items. All of these things are very important to ensure and enhance the growth and development of our residents. Through your participation in the Greg Geiger Memorial Mt. Al’s Roundup you have helped to provide the residents of the Heinzerling Community with the opportunity to live their lives to the fullest. On behalf of our 208 children and adult residents, volunteers, Board of Trustees, and staff, we extend to you our deepest appreciation!